NEED A WINDSHIELD REPLACED, DOOR GLASS OR ANY AUTO GLASS? You depend on your car or truck - depend on ALLIANCE AUTO GLASS to keep you and your family safe, with a safe and professionally installed auto glass. According to the Department of Transportation (DOT) and the Auto Glass Safety Standards (AGRSS), in case of a crash or a rollover, your windshield holds the roof of your vehicle, preventing a roof cave in. 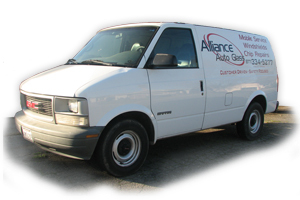 ALLIANCE AUTO GLASS - is local and family owned in operation for 18 years (we don't use subcontractors). Amador County now in our Service Area! We Also Do Sun Roofs!